For training, sure. But not for racing. Yes. The difference in carbon and aluminum does nothing for you. A powermeter does. I actually follow that too. Although I am getting a carbon bike as soon as they call me and tell me it's here. Last edited by cslone; 11-24-08 at 02:11 PM. I agree with the statement, if you're dedicated to learning how to use the power meter and following a plan. Yes, I'd take the PM equipped bike. Consider how this season turned out for me racing steel with heavy wheels and a PowerTap: 9 races, 4 wins, one 2nd, including crits and road races. The previous year, I never placed higher than 15th. Tell ya in a year...but probably yes. Because for training, all I'm really concerned about is the engine, and how it's performing. I don't care about going faster, I just want to get stronger. In a race, I just want to win. I'll take every advantage I can get, including the fastest, most reliable equipment. Beer can with power? What? I'm quite convinced that the potential increase in power from training with a power meter is greater than the power saved by going from the 105 equipmed beer can to the carbon masterpiece. I'll go ahead and disagree. 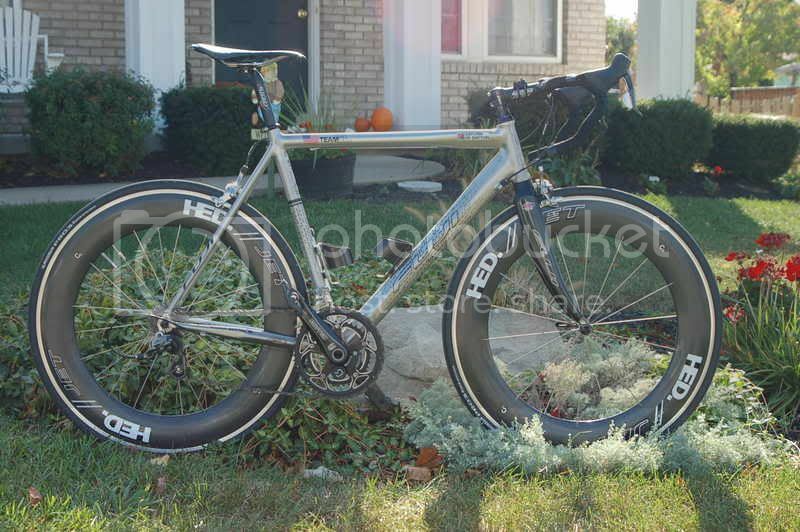 I'd take the $6000 masterpiece, sell it on ebay, then buy a powermeter and a $3000 Dura Ace/Red/Record equipped "beer can" to put it on. even a Ibike Pro power meter? great price but not many product reviews..
yes, in cycling, there is far too much emphasis on the bike. ^^The irony of a guy named "bikeindustryguy" stating that is astounding. I agree. In fact, I state it in Chapter 2. Yes, as long as you don'tget too hung up on comparing the numbers to other people... even the iBike will give you the important information for training. Never having used one, I'm inclined only to say I wouldn't race a $6,000 masterpiece. Yes, as long as you don'tget too hung up on comparing the numbers to other people. Well, that makes it completely useless for most BFers. Seems pretty clear; help boost the economy buy purchasing a new power meter...for everyone on the forums.